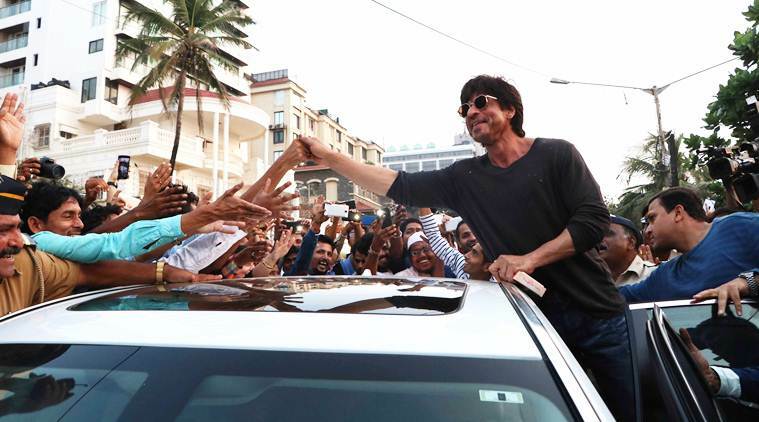 Bollywood Badshah has given a Diwali gift to the audience and his fans in an event. SRK is always inescapable. His smile and humanity are too much to handle. He has a huge fan base in India and all over the world. He recently attended an event pertaining to the beautification of Band Stand in Mumbai. The place is near to SRK’s Mannat. During the event, SRK entertained everyone with one of the dialogues from yet to be released ‘Raees’ on fans demand. How was that? His voice was awesome and the dialogue is even good. Share your views with us in the comments section below.